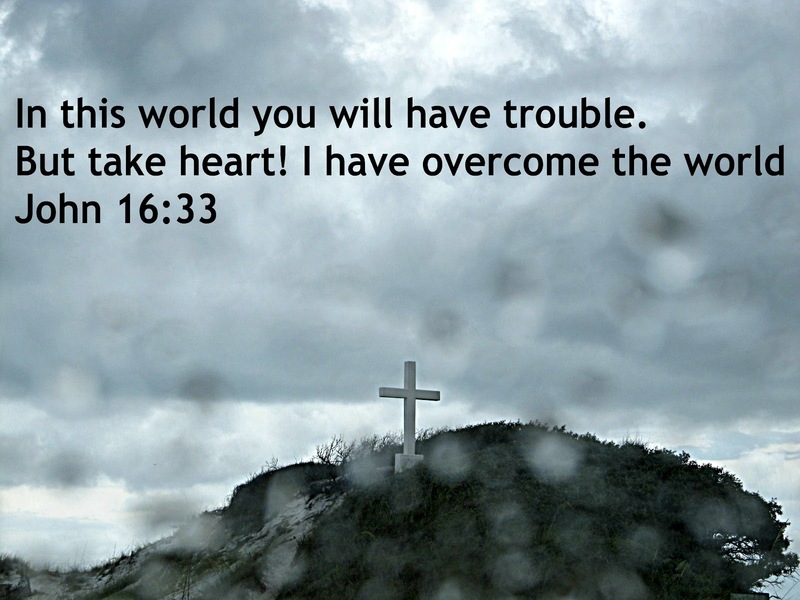 We will have trouble in this life...and sometimes things that flat out stink happen that we have no control over. Can I encourage you to not think and look at your circumstances from your viewpoint? God has the viewpoint advantage and He can see things we cannot. He promises us that His plans for our lives are to bring us good and not harm and to work out all things for our good and His purposes. I'm hanging onto these truths right now, more than ever. Will you hang onto them with me? Thank you Pam. And thanks for stopping by! Oh yes I will hang onto those words with you! In fact, this is exactly what I needed to read today. Thank you so much. You have no idea. I'm glad it was encouraging to you Galen, they are words that I read and reread daily. Beautiful. Yes. Thank you for the encouragement, Alecia! Hi Alecia - I think this is a wonderful post - very encouraging. I wanted to stop by and let you know I nominated you for the Liebster Blog award - and when you have a moment please stop by my post and learn how to accept it!